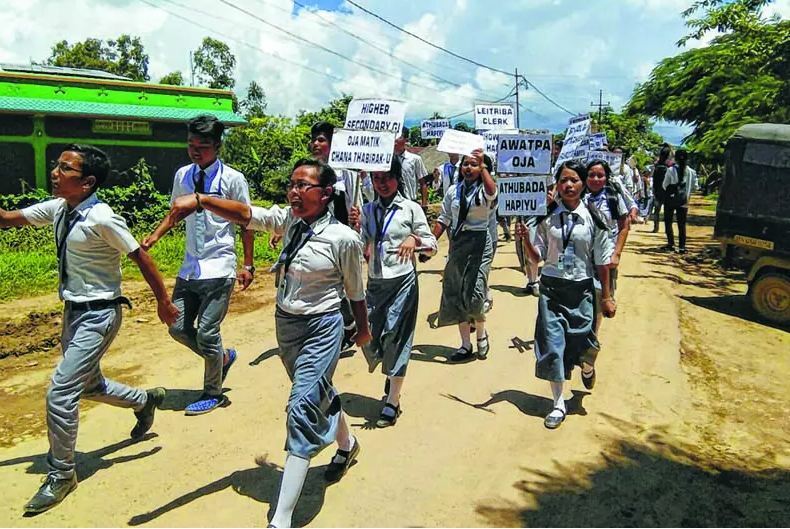 BISHNUPUR, Jul 29: The students of Wangoo High School, of Kumbi AC under Bishnupur district, which has now been upgraded to Higher Secondary, boycotted the class, staged a sit in protest and took out a rally today, against the lack of infrastructure and teachers and non teaching staff of the school. The school was upgraded from a Junior High School to High School in January 12, 1995 and presently has only 11 teachers. The students questioned how a Government school, which has around 100 students per class can be operated by only 11 teachers. The school has 556 students in total and 32 students were enrolled to class XI recently but the severe lack of infrastructure, teachers and non teaching staff has cast a shadow over the future of the students. The students appealed to the State Government to take up necessary measures to improve the academic atmosphere of the school which is populated mostly by students belonging to poor families. According to one of the students, the school has been operating for a long time despite the lack of adequate teachers but despite numerous appeal, the State Government has not taken up any steps to ease the hardship and instead recently transferred two more teachers from the already low number of teachers. The student pointed out that although five teachers were transferred to the school, two of them have been utilised elsewhere and one of them have failed to join. 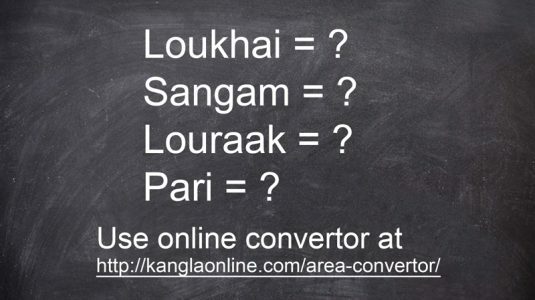 How can two teachers teach all the students of class IX, the student asked. Speaking to media persons, DESAM’s deputy education and academic affairs Mayengbam Somorjit Singh lauded the demands made by the students of school and pointed out that DESAM will fully support the demands raised by the students. After the sit in protest, numerous students organised a rally from the school premise upto Wangoo bridge and returned back to the school. The students also shouted many slogans demanding adequate teachers, appointment of a proper chowkidar and proper infrastructure for the school.